Most people have heard of the term, “lazy eye”. However, it surprises most people to learn that the condition which it describes is not characterized by a lazy eye. Instead the affected eye has a weaker connection to the brain than it should, and subsequently the patient experiences poorer vision in this eye. Also known as amblyopia, lazy eye is a condition that is especially common in children, with estimated suggesting that around 1 in 50 children experience this type of visual problem. In most cases, a lazy eye is detected and then treated during adolescence. However, there are a number of adult patients who have not had their lazy eye detected and are concerned about the future of their eyesight. To understand what causes a lazy eye, you first need to understand a little about how the eyes work. When we look at something, light passes through the lens located at the front of the eye to reach the retina – a light-sensitive layer of tissue at the back of the eye. The retina then translates the image into nerve signals and sends them to our brain, where the signals from each eye are combined into one 3D image. The process relies on the connections between our eyes and brain being strong and working correctly – and these strengthen in our first eight years of life. If something interrupts the brain from building strong pathways for information about vision, it can cause the brain to suppress the images from the most affected eye, creating a lazy eye. Strabismus: an imbalance in the muscles that position the eye, which makes it tricky for both eyes to track objects together. Anisometropic amblyopia: a refractive error caused when light that travels through the lens of the eye is not focused correctly. Stimulus deprivation amblyopia: this occurs when one eye is prevented from seeing and becomes weaker, often due to problems such as glaucoma, a corneal ulcer, a congenital cataract or eye injury. 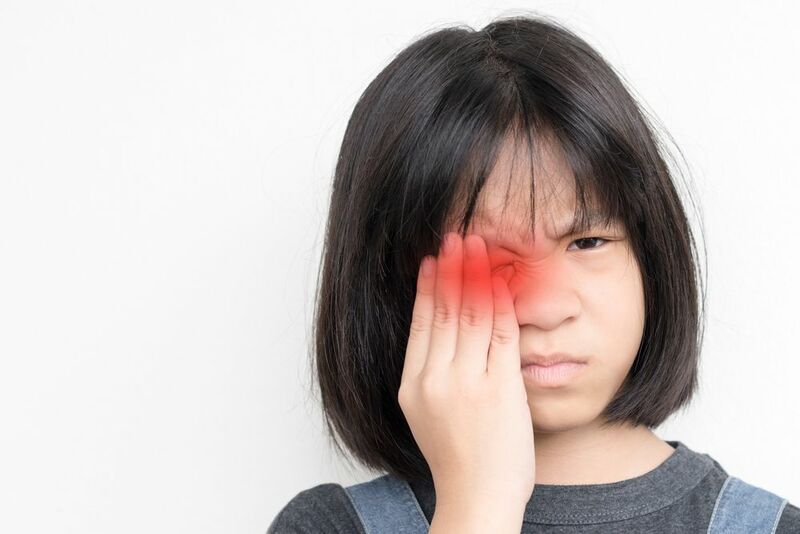 While the vast majority of cases of lazy eye occur during childhood, there are a small number of people who develop the condition as an adult. If this happens, it is usually due to muscle or nerve weakness, though in some instances a cause is never firmly established. Diagnosis of a lazy eye typically happens during childhood. It is not always immediately obvious that a child has the condition, because their young age makes it difficult for a youngster to tell us exactly what is wrong. However, sometimes you may be able to look at a child and realize that their eyes are not working well together. Other symptoms include blurred vision, double vision and poor depth perception. Most children will have an eye examination around 3 to 5 years of age, and the eye doctor performing the test should be able to diagnose a lazy eye from this. Blindness. The National Eye Institute state that lazy eye is the most common cause of single-vision sight loss in the United States. This is because, left untreated, permanent vision loss is a possibility. Problems with central vision. Central vision development may be impaired if lazy eye is not treated. Strabismus. Strabismus is a condition where the eyes are not properly aligned and can become permanent if the lazy eye is not treated. Placing a patch over the ‘good’ eye so that the lazy eye has to work. As your brain will only be receiving from this eye, rather than the good eye, it will have to use it. This should strengthen the lazy eye. Eye drops. These are used to blur vision in the ‘good’ eye, again making the lazy eye work harder. This is a good alternative treatment to wearing a patch. Visual exercises with the aim of improving vision in the affected eye. Surgery. Surgery generally cannot improve a patient’s vision beyond what they can achieve wearing eyeglasses, but it can be used to improve the appearance of associated visual problems such as a squint or can make a patient’s eyes appear that they are focusing correctly. If have further questions about lazy eye or amblyopia, we can provide the answers you need and put your mind at rest. Contact Sonny Goel, MD today to arrange an appointment 410-469-8900.